Here are some snowflake facts. A snowflake is a collection of ice crystals which falls through the earth’s atmosphere. They are formed when water droplets freeze around particles of dust or pollen, forming ice crystals. As they fall towards the Earth’s surface, the ice crystals combine with other ice crystals, forming snowflakes. Humidity, air currents and temperature can all affect the formation of snowflakes. The strength and weight of the flakes can also be affected by particles of dirt. The first detailed description of snowflakes was in about 1250. The earliest snowflake diagrams were published in 1555, and in 1665 – they were examined under a microscope. Snowflakes are six-sided (they have six arms) and they are symmetrical. Although it is possible for 2 different snowflakes to be alike, it is very unlikely. Wilson Bentley, a farmer, spent much of his life studying snowflakes. He collected 5,000 of them, wrote over 60 books and articles and was known as the Snowflake Man. Bentley was also the first person to photograph a single snow crystal, using a microscope. An exhibition on his work can be seen in his home town of Jericho, Vermont. One of the largest snowflakes ever seen was at Fort Keogh, Montana, in 1887. The huge flake measured 38 cm in diameter and about 16 cm thick. Scientists examine snowflakes by waiting for them to land on a glass surface treated with chemicals. The melting snowflake then leaves behind a plastic copy. Snowflakes are not actually white, although the many water crystal faces make them appear white. A single flake can contain literally millions of crystals. Nobody knows for sure why snowflakes stick to the ground and to other surfaces. It may be because of a special liquid, static electricity or interlocking arms on the flakes. 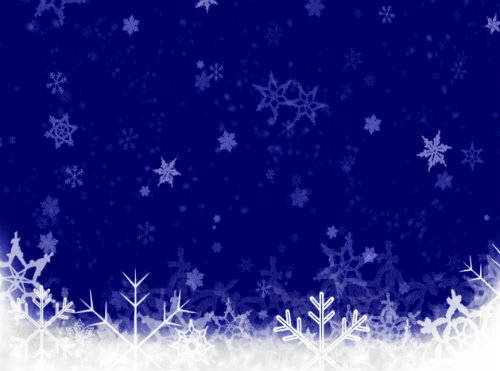 Snowflakes are often used as seasonal images or decorations around Christmas time. They are also often used to show cold temperatures, on appliances and weather maps.